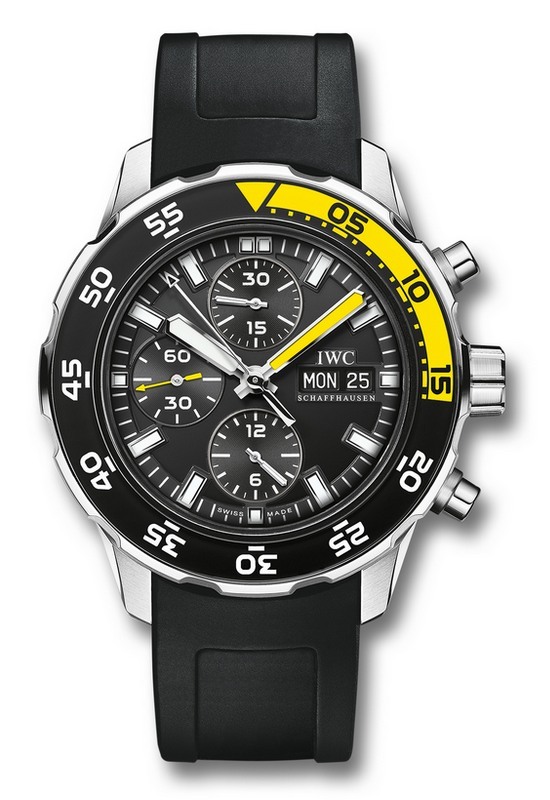 This IWC Aquatimer Chronograph dive watch is a must-have for the diving enthusiast. 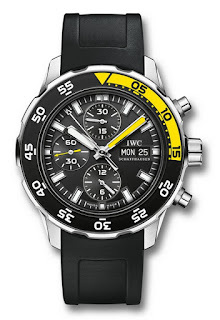 The differently coloured arc for the first quarter-hour on the rotating bezel is one of the hallmarks of the Aquatimer models, on this watch in yellow for added legibility under water and in low light. The luminescent hands and indexes contrast the black dial making this watch the perfect accompaniment for any keen diver.